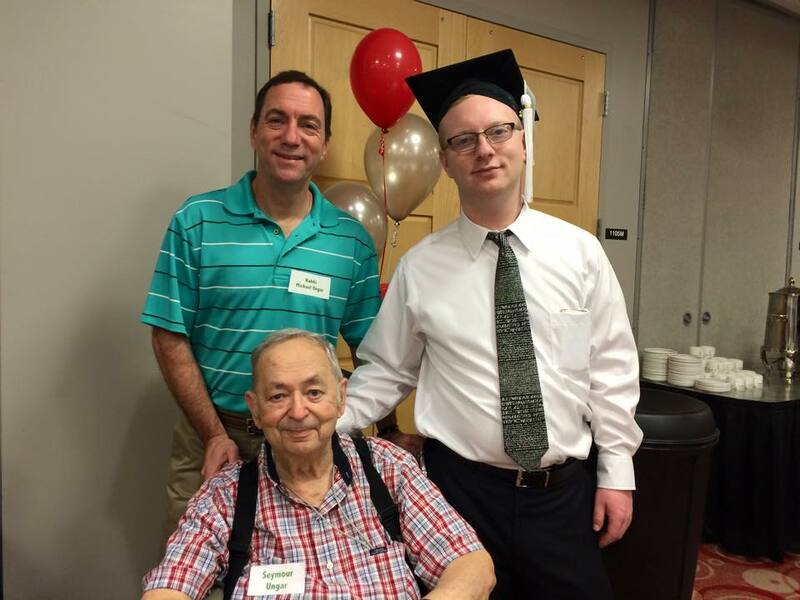 Me, my grandfather Seymour Ungar, and my dad Rabbi Michael Ungar at the English Graduation Breakfast. In Tarot, the World card represents the end of one life cycle and the beginning of a new one, or the pause before the new cycle begins. Great changes come, and one has to adjust to the new changes. Yesterday one of my life cycles came to a close, and today a new one is either set to begin or has already begun. 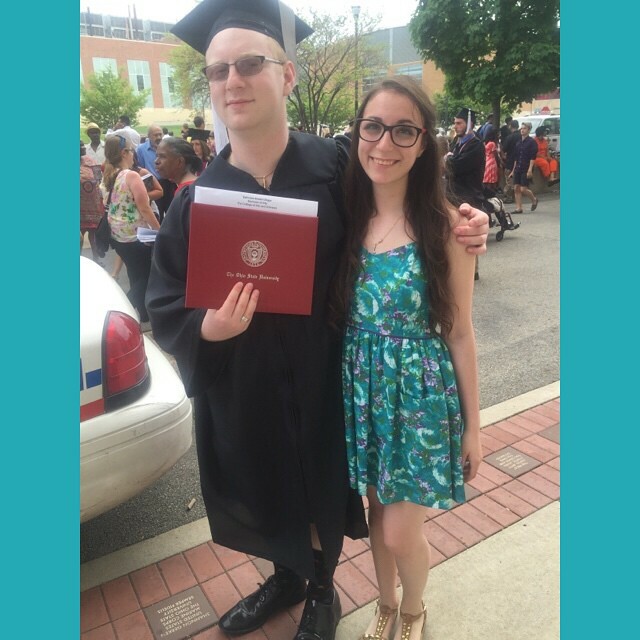 Yesterday I graduated from The Ohio State University. I’m telling you, the week and a half leading up to graduation has been incredibly busy and crazy. And the day of graduation was the most tiring of all. I woke up around 6:30, about a half hour earlier than I normally do on weekdays, got myself dressed up in a dress shirt and tie, and headed to the Union for a graduation breakfast put on by the English Department. Almost all of my family was there, which was fun and slightly terrifying (if you know me well, you can guess why). I introduced them to some of my professors who were there, and took some photos, one of which you can see here. After breakfast I headed back to my apartment because it was really hot out and I wanted to change into something I wouldn’t boil to death in. I then went to where the Arts & Sciences grads were assembling, in one of the gyms in the RPAC (the school’s main building for exercise and playing sports with your friends), and then we headed out to the Ohio Stadium. We then waited outside the Stadium for about ten, fifteen minutes before going in and sitting in the stands. In total, there were over eleven thousand students, the biggest graduating class Ohio State has ever had the pleasure of producing. I can only imagine the work that must go into making sure that many students walk in, are seated, get their diplomas, and then get out of the stadium without causing chaos. Must be a nightmare. Anyway, we had our commencement address from Archie Griffin, a former OSU football player and head of our Alumni Association (note to self, sign up for the Alumni Association). He actually gave a really good speech. He spoke about how his family had worked hard all through his young life, how he’d gotten to OSU on an athletic scholarship, and how despite fumbling the ball his first game in his freshman year, he still somehow got to play the next game and did spectacularly. The message we got from his speech was, sometimes you fumble and stumble and fall. Don’t let it get you down or hold you back, though. Instead, keep going forward and keep pushing, and you’ll do amazing things. 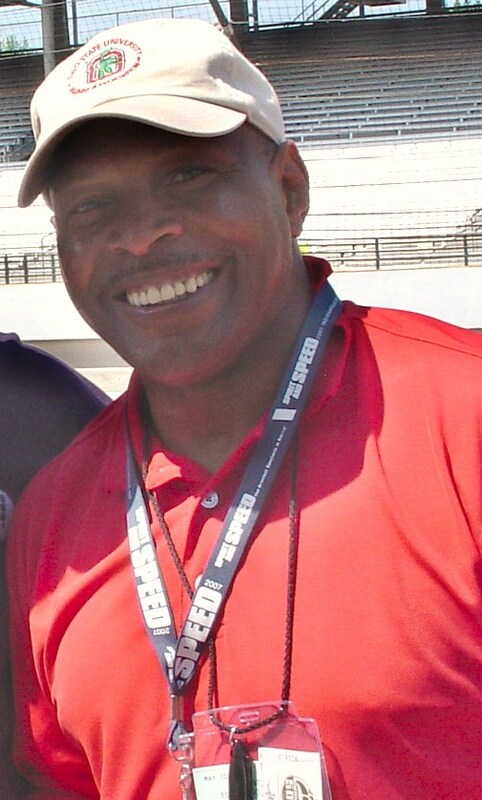 Our commencement speaker, Archie Griffin. After that, they conferred honorary degrees and distinguished awards to people who had accomplished much in life or did amazing things for the university (one of the honorary degrees went to Kathleen Sebellius, the former Secretary of Health and Human Services. I thought that was pretty cool). Then the doctorate students went up and got their diplomas on stage, the only group to do so. Because nearly two hundred people were going up to get their doctorates and it took time for each to come up and get their diploma, a lot of grads took that time to go and grab something to eat from the food stands in the stadium (I was among them). After that we sang the school song Carmen Ohio and then began the long process of giving students their diplomas by having them walk down from the stands and getting their diplomas from the dean of their school at little tables set up on the field. It took a while to get to my section of the stands, let me tell you. Even though the process is designed so that several different colleges can go up at once and get their diplomas, the College of Arts & Sciences had nearly two-thousands grads yesterday, and they get their degrees in alphabetical order. I was among the last five-hundred. But I eventually got down there, got my degree, and headed out of the stadium to meet with my folks, take some more pictures, and then go home to shower before going out for a celebratory dinner. All told, that graduation ceremony took about three hours from the time it began to the time I got out of the stadium. It was not only long, it was very hot, and even though I mostly just stood and sat, I was exhausted by the end of it. Thank God I brought in two large water bottles with me, or I might’ve overheated or passed out from dehydration sitting there. And still, it was wonderful. I’m glad that, after four years of hard work and a lot of tuition paid, I got to attend my graduation and get my diploma. My sister Adi and I after I’ve gotten my diploma. Today, things feel very different. The feeling that I’ve had since around exam time, like I’m the prom queen and all adore me, is dissipating pretty quickly. What’s left is this wonderful zen feeling that’s been going on since I woke up and has lasted pretty much the whole day. I also feel like I could make any changes to my life right now and they’d stick. I’ve already noticed a few just today: I’m talking to myself much less (something I do on a daily basis) and I’m not craving chocolate at work (which happens every time I step into the office!). A new cycle begins. What’s in store for me, we will soon find out. I think that might be because, for the first time since I was small, I’m no longer enrolled in any sort of education. I’m now past education! It’s a weird feeling, meaning a major change to my identity, so I’m adjusting and finding my new self. Maybe that’s part of the beginning of the new cycle I mentioned above. And perhaps, with a new job and everything else that comes with that, I’ll figure out my new self fairly quickly. In the meantime, it’s back to business as usual. But first, I want to thank everyone reading this blog. Since I entered college, this blog and the people reading it have been with me, guiding and supporting me through exams and publishing and Europe and everything else in between. I hope that you, the Followers of Fear, will continue to support me as I figure out what comes next for me and work my hardest to accomplish that. Until next time, my Followers of Fear. Have a nice day. Oh, and if you get a chance, check out my About page. I just updated it to reflect my new circumstances. Tell me what you think of it. Thanks Segmation for your support. I’ve noticed that you’re usually among the first to like my posts and I really appreciate it. I hope we have plenty of opportunities to interact in the future.